Wendy, I DID see that...weird. Maybe you don't LIKE them, but LOATHE them????? Looks like a wonderful weekend for you ~ what treasures!! I can see your happiness...and love!! I love the same things - candy corn/nuts, grandchildren and hydrangeas. Love your cute headdband too! Absolutely adorable. 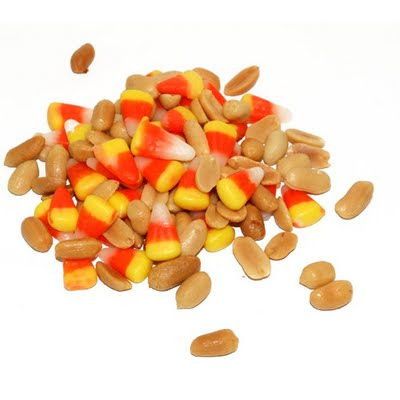 Candy corn + nuts..I bet that is a divine combination~we'll have to try it! !